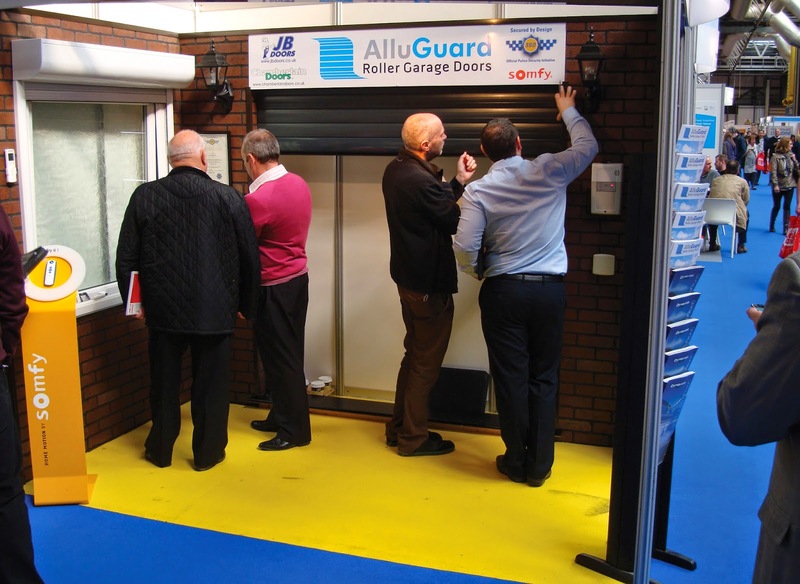 Leading garage door manufacturer Alluguard enjoyed a successful visit to the Homebuilding & Renovating Show at the Birmingham NEC in March, which is aimed at the growing number of people who are building or renovating their own homes. The value of the self-build market is estimated to be around £4.39 billion, with around 13,000 self-builds started each year – representing 13% of the UK's new build housing market. The Alluguard stand was part of the Home Security Advice Centre run by Secured by Design (SBD) – the police-led association that teams up with suppliers that are proven to make products built with security in mind. The Centre provided an opportunity for visitors to talk to Alluguard and other SBD member companies about products that offer sound security, as well as obtaining advice from police officers on how to use products and design principles to maximise the security of buildings. Alluguard’s attendance was, as Managing Director Gary Brooks says, intended to secure lead generation from the vast self-build and renovation markets for the company’s national network of installers. Established in 1989, Secured by Design (SBD) is the official police project that focuses on the design and security of new and refurbished homes and commercial premises. It supports the principles of ‘designing out crime’ through physical security and processes. Member company status is awarded to companies such as Alluguard that make products that pass standards and related tests nominated by the police service. The standards and tests must demonstrate each product’s effectiveness in preventing or reducing crime, usually by resistance to physical attack. SBD is certainly helping to fight crime as statistics show that housing developments that use SBD products and processes are half as likely to be burgled, have two times less vehicle crime and show a reduction of 25% in criminal damage. ‘Before and after’ studies on two housing estates showed that crime rates dropped by around 35% and 40% after SBD principles were introduced. As a Secured by Design member, all products manufactured by Alluguard carry the SBD and ‘Police Preferred Specification’ logos that signify they have met the series of stringent security requirements laid out by the organisation.